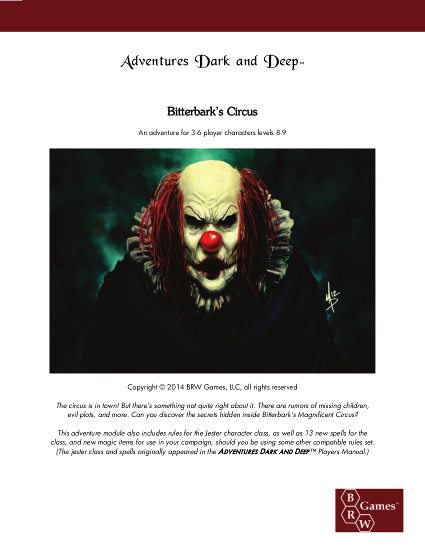 Hot on the heels of the best-selling Adventures Dark and Deep™ GM’s Screen, BRW Games is proud to announce the release of Bitterbark’s Circus, an adventure locale designed for characters level 8-9. 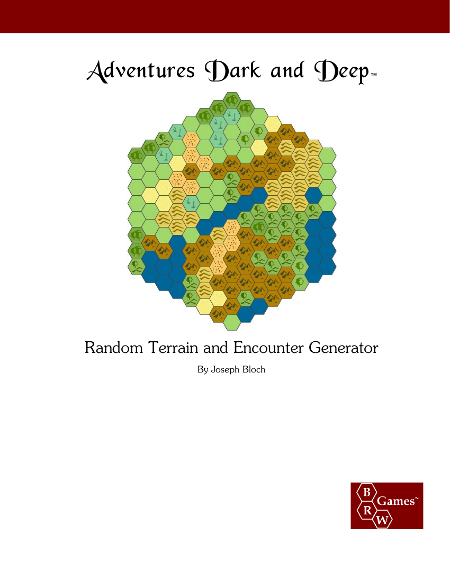 Because it’s written for the Adventures Dark and Deep™ rules, it can be used with most Basic or Advanced-compatible rules almost as-is. 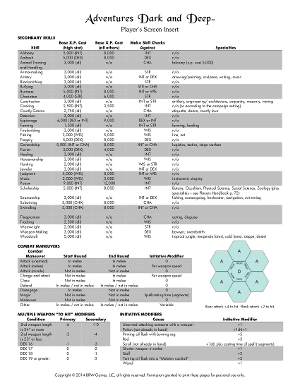 And for those people who are playing games that don’t feature a jester character class, the entire class (including lots of new spells) is included as an appendix. 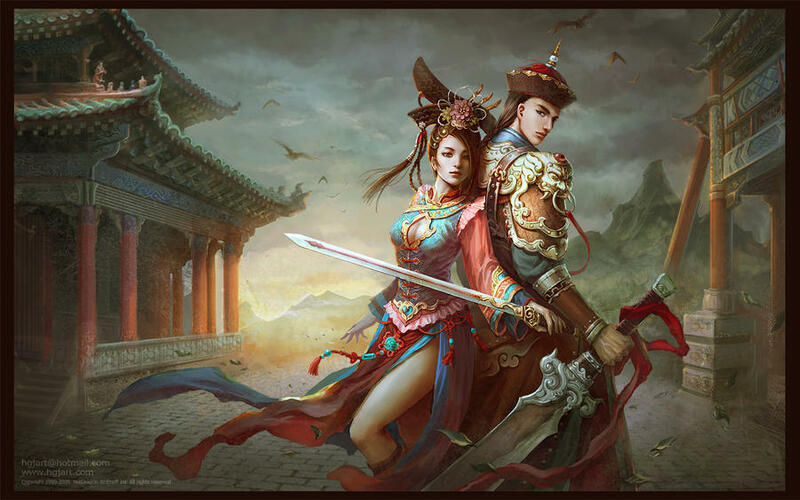 Jesters feature prominently in the adventure, and it only seemed fair to include the whole class for GMs who want to use the adventure using other rules. Bitterbark’s Circus describes a sinister circus which can be inserted into most RPG campaigns with little effort. 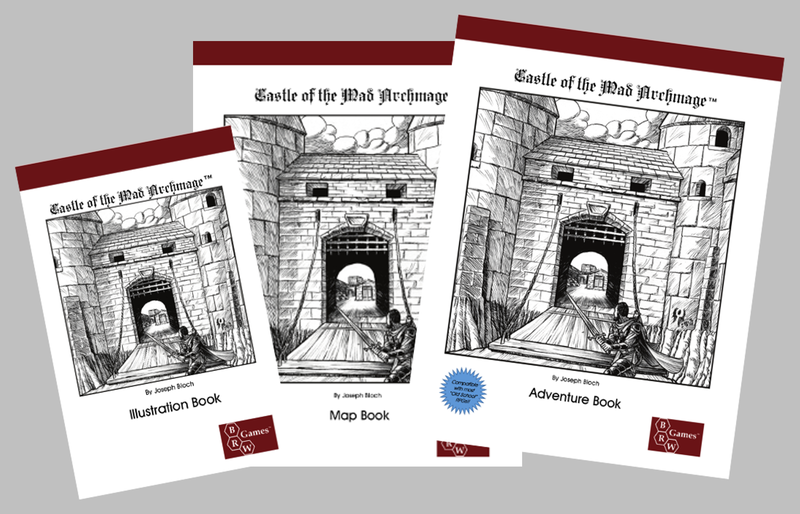 The GM is given a variety of different ideas and options for inserting the adventure into an existing campaign, and the adventure is also linked to the Castle of the Mad Archmage™ megadungeon, via a magical gate in the lower levels of the fabled and deadly dungeon. But it is also perfectly fine as a stand-alone adventure, and can add a layer of creepy mystery to any game. 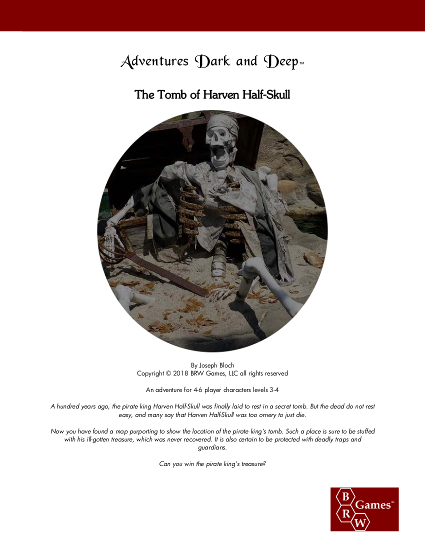 The adventure runs 30 pages and is available for $4.95 in pdf format. Buy it today; your players will thank you. Well, probably not, because it’s an eerie and deadly place, but they’ll still have fun. 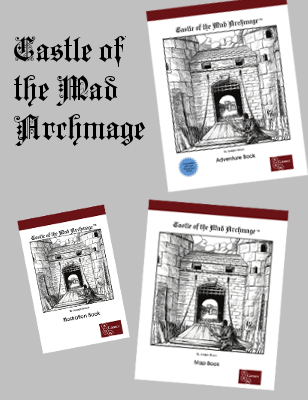 As of December 1st, the three core Castle of the Mad Archmage™ books will only be available as a bundle. Up until now, due to limitations in the OBS software, we weren’t able to offer the books in print as a bundle; you had to add each separately to your cart. As a result, from our sales reports we know that some of you only bought one or two of the three books in the series. 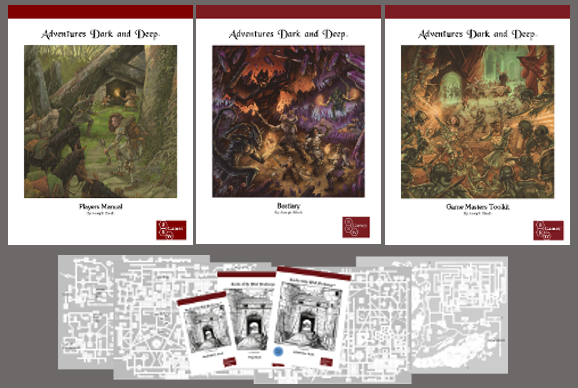 The three books are the Adventure Book (also available for Pathfinder), the Map Book, and the Illustration Book. If you’ve only purchased one or two of the three, and you’d like to get the ones you missed for whatever reason, now’s the time to pull the trigger. Once December hits, you’ll only be able to purchase the books in the three-book bundle, as we had originally wanted to do when they were first released. They are intended to form a coherent whole, and we feel that not having all three robs you of some of the experience. So bottom line, if you’ve held off getting one or two of the books in the series for whatever reason, now’s the time to “even out” your collection. Starting next month, they’ll only be available together (and that goes for print and pdf, I should mention). Many thanks, and for those of you in the United States, have a great Thanksgiving. It’s that time of year again – BRW Games is looking for authors who think they have what it takes to get published. 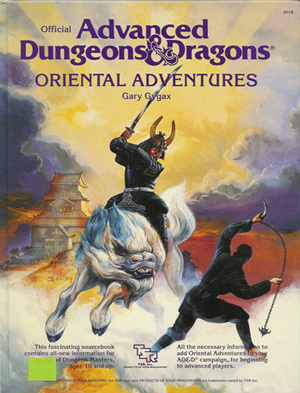 At the moment, we’re looking for RPG adventure modules that aren’t tied to any particular campaign setting, either using the AD&D 1st Edition/compatible or D&D 5th Edition systems. We are not looking for settings or rules supplements. Submissions should not have been previously published elsewhere, but we can make exceptions in special cases. Please contact us with details. Please do not send in proposals or multi-adventure series. We are looking for finished self-contained adventures, but that doesn’t mean they need to be able to be wrapped up in a single session – longer adventures are okay. 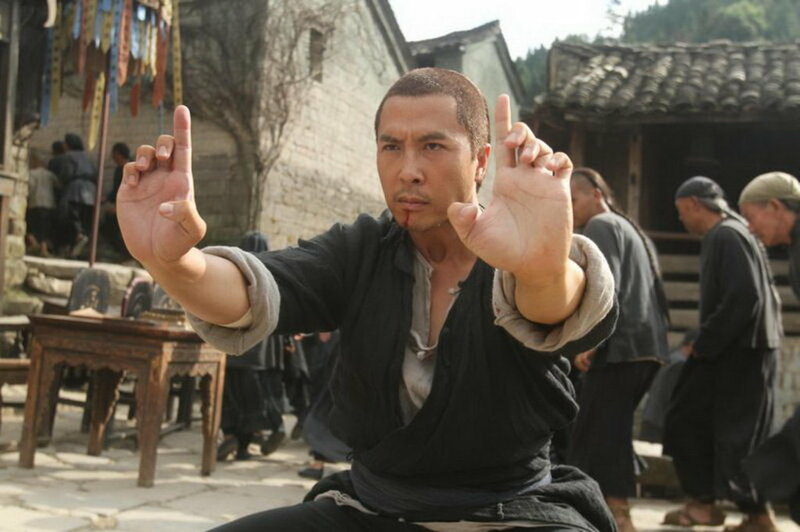 Plot-driven, location-based, and sandbox styles are all acceptable. You do not need to have polished cartography, but preference will be given to submissions that have been playtested more than once. Please send your submissions to joseph@brwgames.com. 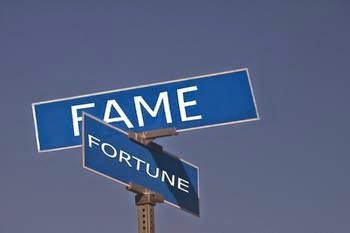 If we like what we see, we will contact you with rates and terms. Good luck! 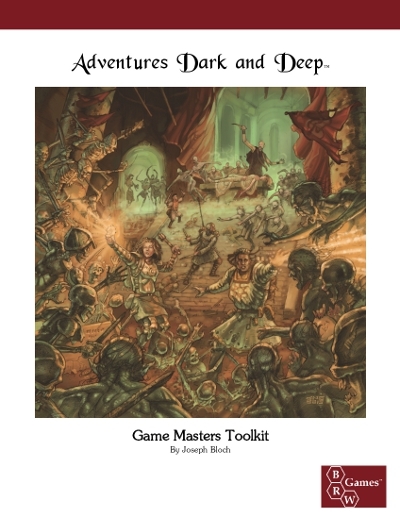 Just wanted to put out a quick “thank you” to everyone who bought Adventures Dark and Deep and Castle of the Mad Archmage at this weekend’s Dexcon/OSWARP convention. Everyone should have gotten their download codes for the pdf versions of the books by now – if you haven’t, check your spam filter. They do tend to get flagged as spam for some reason. 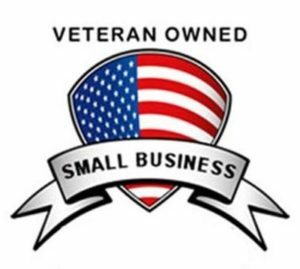 I just wanted to extend a big “thank you” to everyone who participated in this past weekend’s Midsummer Madness Sale. Thanks to you, we got a big shot in the arm which will set us up to do some pretty amazing things later this year and in 2015. Unfortunately, I can’t say what those amazing things are quite yet, but believe me… they’re going to be amazing! 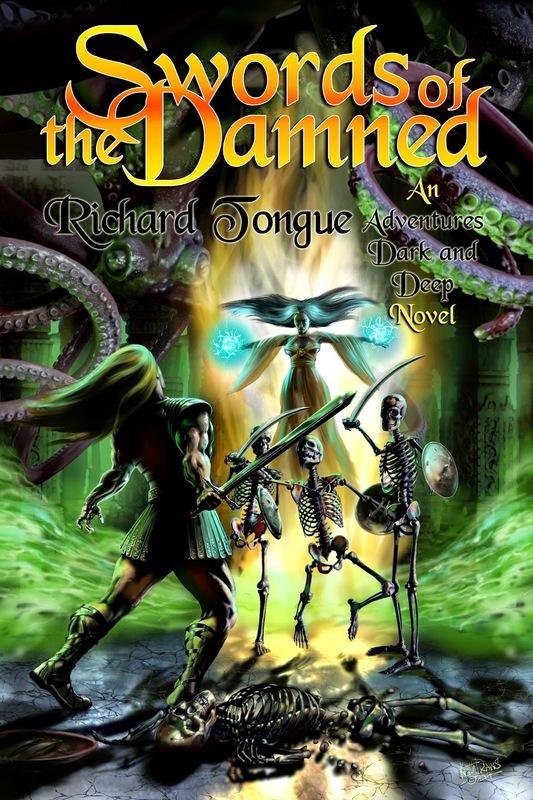 A few months ago, BRW Games published the first novel based on Adventures Dark and Deep, called Swords of the Damned, by Richard Tongue. Unfortunately, as some readers pointed out, it was somewhat lacking in proof-reading, and contained numerous errors. I’m pleased to say that a second printing is now available, which hopefully rectifies this situation. 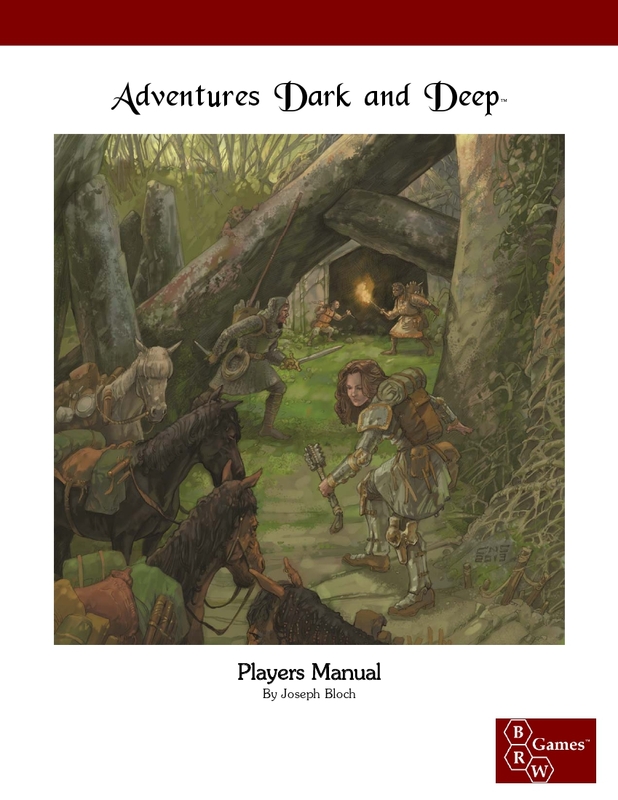 It’s been gone-through by our own Mollie Carson-Vollath, she who edited the ADD rulebooks, and I think you’ll find that the new edition is of a much higher quality. For the next few days, the new edition will be available for only $6.95, which is more than 20% off the regular price. We don’t do sales. We’ve never done sales. But now, We’re about to do a sale. Midsummer Madness is upon us! 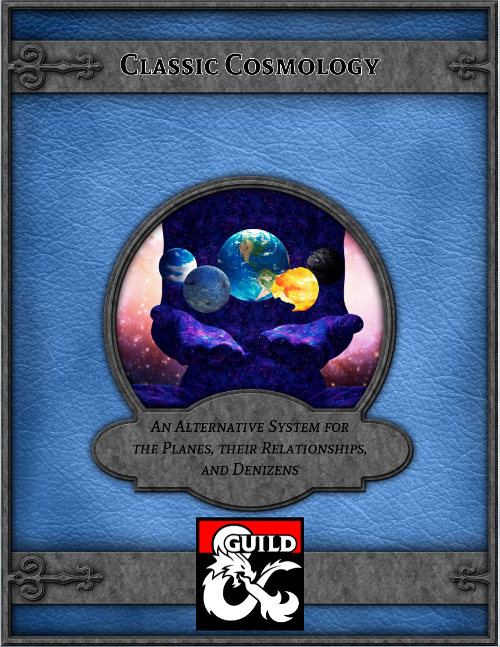 In conjunction with both Free RPG Day and the Summer Solstice, all BRW Games products will be available for 30% off from Friday June 20 through Sunday June 22. 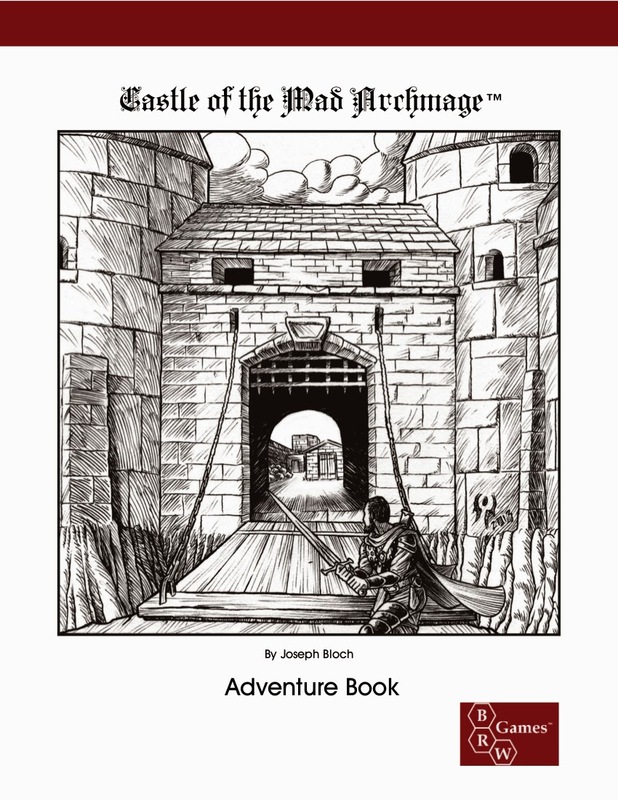 It means you can get all three Castle of the Mad Archmage books for less than 14 bucks in pdf. Under $25 in hard copy (under $32 if you go hardcover). And that goes for the old-school version as well as the new Pathfinder edition. 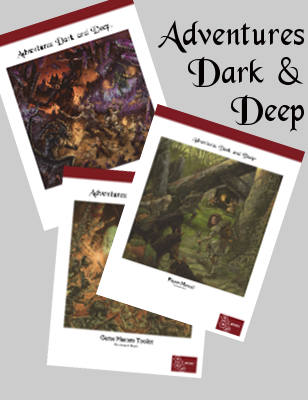 It means you can get all three of the core rulebooks for Adventures Dark and Deep for less than 25 bucks in pdf. Under $50 in hard copy (under $70 if you want to go hardcover). And if you need some spare Players Manuals for your table, this is the perfect time to stock up on ’em. But its only for the three days around the Summer Solstice. Once the Stars are No Longer Right, you’re back to paying bust-out retail for another year at least. No idea if I’ll do this next year. Personally, I think it’s a pretty good deal. Spread the word, tell your friends! If you’ve been wondering what folks are talking about, now’s the time to find out.